In 1903, Professor Niels Finsen won the Nobel Prize for Physiology or Medicine for his work on the treatment of diseases by means of concentrated UV light rays. But when we say UV rays can actually be good for you, that’s not exactly what we’re talking about. You may be surprised to find that an excellent benefit of UV light rays is actually what it can do for your Cottonwood Heights, UT indoor air quality, and subsequently your health and the health of your family. The ductwork connected to your HVAC system provides the perfect environment for the development of mold, mildew, and other harmful microorganisms. This is because they are dark, cool, and moist thanks to the use of your AC system. 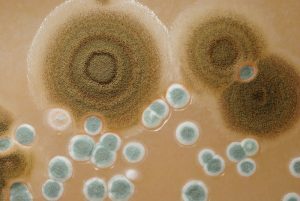 When these contaminants enter your indoor air, they can create a number of health-related issues for you and your family. Infectious diseases are a threat, as is allergic rhinitis, asthma, and hypersensitivity pneumonitis. If that sounds unpleasant to you—it’s because it is! Fortunately, however, professionally installed UV germicidal lights—also referred to simply as UV lights or UV air purifiers—help you fight against this. 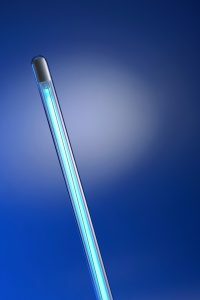 UV light has an anti-microbial effect on the biological contaminants that develop within your ductwork. When a UV air purifier is installed (typically within your ductwork/over the evaporator coil), it effectively stops the development of mold and mildew before it begins, therefore never giving it the chance to break off and make its way into your home. Without the right type of air purifying products and services, your indoor air quality can be more polluted than you realize. It can even be worse than the quality of the air outdoors. For this reason, people with allergies, asthma, and any other respiratory issues can find themselves with aggravated symptoms if the problem is not remedied. Is This Type of UV Radiation Safe? It’s only natural that you would ask this—it’s understandable to be concerned about the UV radiation emitted from these devices. This type of UV lighting, however, is completely harmless. In fact, you’ve probably seen it utilized at concerts or theme parks as black lights to make your clothes glow! This type of UV radiation is completely harmless to people and to pets—but deadly to bacteria! In addition to eliminating mold and mildew from your ductwork—and subsequently your indoor air—UV lights help eliminate the foul odor that typically comes along for the ride. Plus, UV lights are pretty versatile. You do not have to make any room for them as they conveniently fit right into your HVAC system, positioned where they’re needed the most. If you have a central HVAC system, then this is definitely a highly recommended device for you and your home! Is an ERV Effective in the Winter? Heating one’s home is not to be taken lightly. 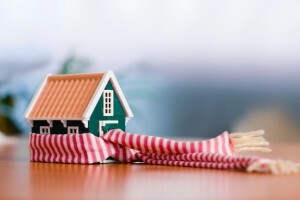 The winter weather in this part of the country is far too harsh and long-lasting to take any chances with the performance quality of one’s heating system. Of course, you also don’t want to be paying an arm and a leg in order to heat your home, nor should you have to sacrifice sufficient ventilation and great indoor air quality in your pursuit of efficient heating. If you think that enjoying efficient, effective heating as well as high indoor air quality is asking too much, think again. Just use an ERV in West Jordan, UT. Read on, and contact Design Comfort if you think that an ERV is a good fit for your home. 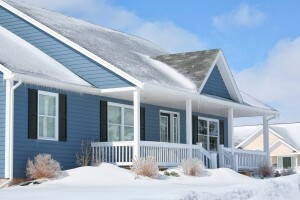 Posted in Indoor Air Quality | Comments Off on Is an ERV Effective in the Winter?